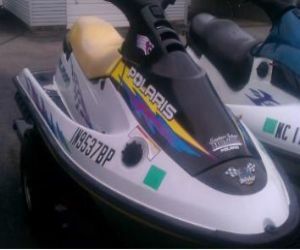 This is a used 1996 Polaris SL1050 jet ski. This ski is a little older so it does have some wear and use out of it. 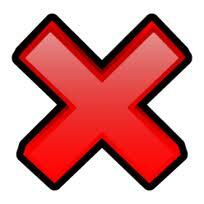 But there is nothing that will prevent it from running and preforming. This older ski can still go up to speeds of 65 mph. And has over 100 hp. The inside of this jet ski is in fair condition. The seat is a bit worn from age,but nothing major. All of the floor grip is in tact and no worries about slipping while you are trying to enter or exit this PWC. The handle bars still have all of their rubber grips as well so it is easier to maintain this jet ski. The gauges to the front that tell you how many hrs put on, gas and other are all in working conditions. The body shows minimal damage. The rubber bumper is all in tact and goes all the way around this jet ski. It is white and yellow in color. There is some multi colored decals on the sides and bottom. To the rear you can see an handle bar so the other passenger has something to hold on to while you are in motion.